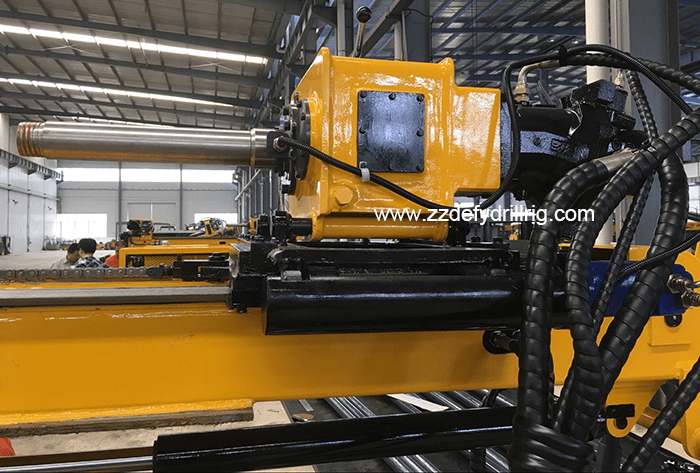 1.DF-H-4 wireline core drill rig of full hydraulic and rotator adopted the technology of wire-line coring has been the dominant type rig for solid mineral deposits prospecting in developed counties in the world. 2.It is also the developing direction of drilling technique and drilling equipment in China.This type of drill rig could substitute imported products. 3.It could be applied to exploration and prospecting of geology, metallurgy,coal,petroleum,natural gas, groundwater and other industries. 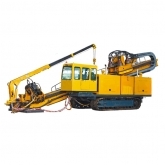 4.The drill rig is equipped with a series motor driving pump. The feeding and lifting of rotator are driven in the structure of cylinder directly pushing, with a 3.5m stroke. The rotation of spindle is driven by a single engine. It has four mechanical shifts of range of speeds, and the speed could be adjusted hydraulically with stepless change. 5.The rig is simple in structure. It is light and easy for transference; the mast has the functions of slidingand touching ground, the spindle lifted and lowered with hydraulic cylinder,it could be folded for transport and relocation. 6.The spindle hole is in large diameter.